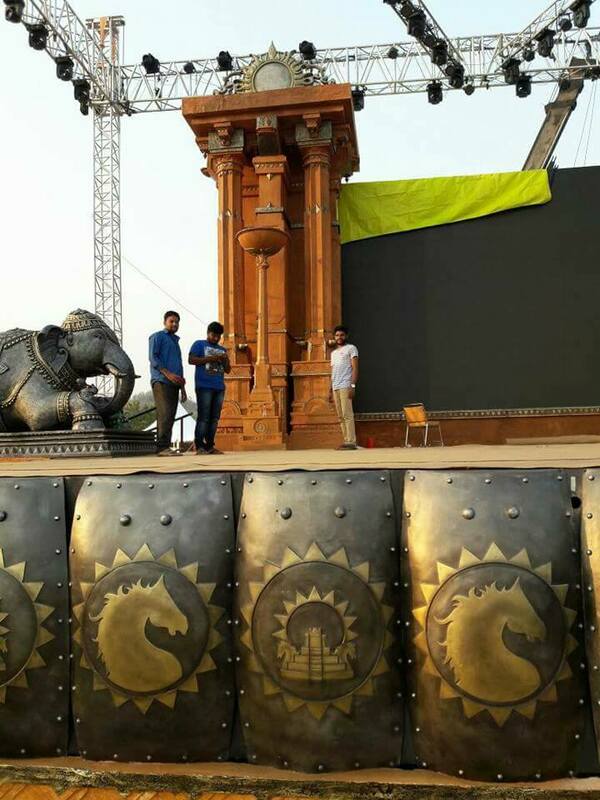 The pre-release event of the magnum opus, Baahubali – The Conclusion is going to take place tomorrow. 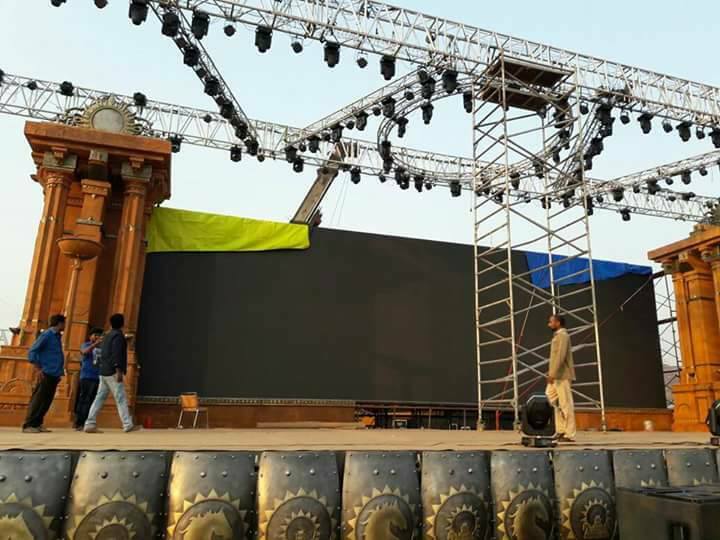 The stage is set for a grand, stylish and technological audio launch. A grand set stylised on Mahishmathi architecture is being erected at Ramoji Film City, Hyderabad. The theatrical trailer of the film has already stirred a huge buzz among film goers and there are huge expectations about the release of the film which is slated to be on the 28th of April. Under the composition of ace musician M.M. 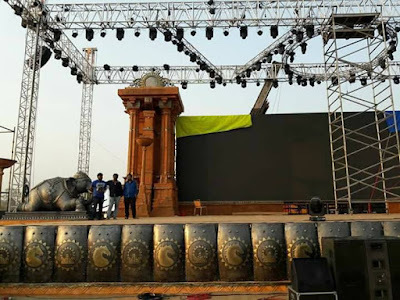 Keeravani, Baahubali – The Conclusion, music album is also expected to break records in a short span of time. 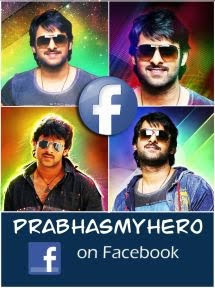 Starring biggies like Prabhas, Rana, Anushka Shetty, Tamannaah, Ramya Krishnan, Satyaraj and others Baahubali has been the talk of the town since a couple of years now. 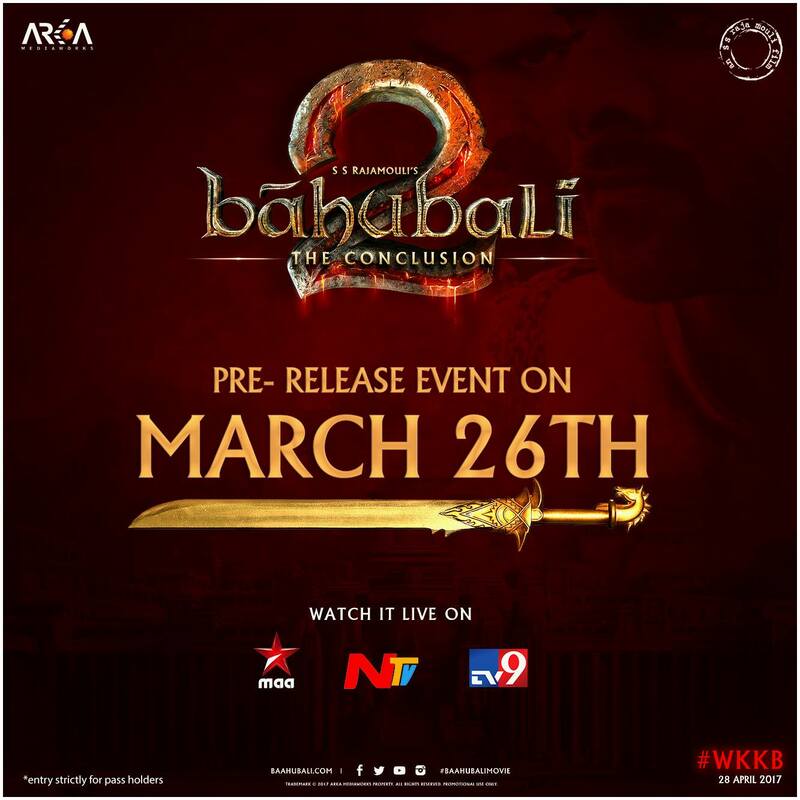 The theatrical trailer of Baahubali – The Conclusion fetched 100 Million plus views in a record time and the hashtag, #WKKB (Why Kattappa Killed Baahubali,) has been creating a buzz for quite some time now. The massive secret behind the biggest question will be answered in a month. People are waiting to see the extravagant performances of the stars and also the magnificent making of this epic film. The cost of making the second part of Baahubali was approximately 400 to 450 crores, according to Shobu Yarlagadda, the producer of this movie. Let’s keep our fingers crossed and wait for a visual treat on the 28th of April. All the Best to Team Baahubali for a tremendous success on their audio launch and pre-release event!